All dogs that reside in the Village of Withee are required to be vaccinated against rabies and licensed under state statute. Vaccination by a veterinarian against rabies of all dogs is required (Section 95.21) within 30 days after the dog reaches 4 months of age, and re-vaccinated before the certificate expires or within three years of the previous vaccination. Evidence that the dog is currently immunized against rabies must be presented before a license can be issued. To qualify for the minimum license fee for neutered males or spayed females, presentation of evidence attesting to same must be presented when applying for the license. A minimum late fee of $5 shall be assessed the owner of each dog 5 months of age or over who fails to obtain a dog license by April 1st of each year, or within 30 days of acquiring ownership on or before the dog reached licensable age. Any owner who fails to have a dog vaccinated against rabies as required by statute may be required to forfeit not less than $50 nor more than $100. DON'T DELAY. CONTACT THE VILLAGE TREASURER TO LICENSE YOUR DOG TODAY! To license a dog in the Village, you will need the name of the pet, color, breed, whether a male or female, whether spayed or neutered, date vaccinated, vaccination expiration date and vaccination manufacturer. The form to register a dog is located on the forms and permits tab. 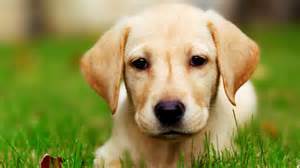 If you have any questions regarding the licensing of your dog, please contact the Village Treasurer at (715) 229-4319.